While lighting is something we may not think about every day of our lives, it is technically considered a luxury...and should look like one! Desk and floor lamps shouldn’t be an eyesore to your environment; they should be focal points that are detailed with lots to offer. 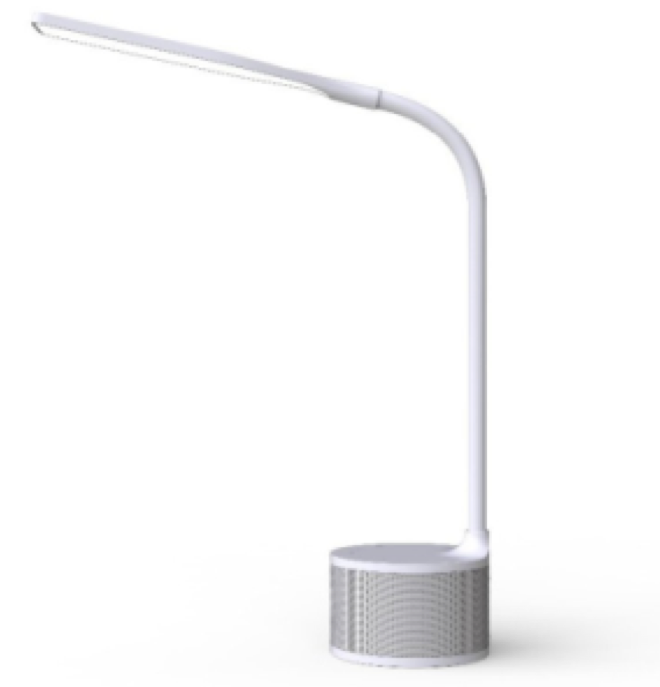 Speaking of a lamp that has a lot to offer, this gray and white desk lamp features a built-in speaker on the base of the unit. Connect it to your phone or tablet via Bluetooth and relax with your favorite music while powering through your work. It also includes an integrated USB port for charging those same devices. Giving you a fresh perspective, this BLACK+DECKER Bluetooth speaker lamp provides full-spectrum illumination with cost-efficient LEDs that simulate natural daylight and includes three color temperature modes. We don’t have the patience to wait for this one to hit the site. Talk about style! This 4.5-watt desk lamp is covered in a stunning metallic rose gold finish. That means you can incorporate it in any study/dorm room, office or bedroom! It has a USB port making it multi-functional. Though, it’s also multi-dimming as it offers three brightness levels via the power control that are touch sensitive. It’s definitely popular for today’s hot trend of sleek rose gold. If color isn’t your thing, then you’re definitely going to want to snag this ultra-thin minimalist floor lamp. Bringing a modern touch to any room, it also doesn’t grab all ounces of attention. You could say it’s a hidden gem. 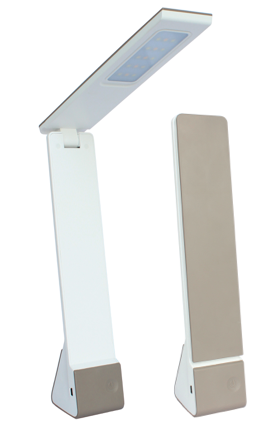 Standing 51” tall, this chrome LED lamp provides incredible task lighting with 360° light direction with the swiveling lamp head. Compact and convenient. 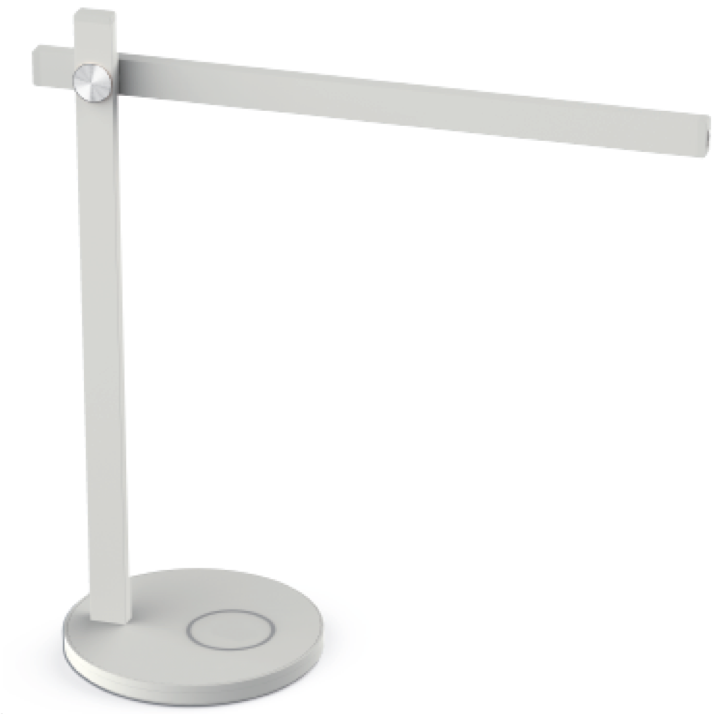 This desk lamp doesn’t take on the look of a standard desk lamp which is why we absolutely love it. It’s foldable and battery operated so it can be used anytime, anywhere. The battery lasts up to 3 hours before it needs recharging, which is pretty impressive as it is full-spectrum and daylight mimicking. Though, it includes a 3-foot USB charging cord when it’s time to power it back up. It’s also available in various color options so you can choose which will fit your space best! Like the last lamp, sometimes a simple look is what you need. However, don’t judge this lamp solely on its appearance (which is stunning!) It offers incredible dimming options with three brightness levels to choose from, along with a touch panel for color temperature modes. It takes on a geometric, matte look with an ultra-thin lamp head that adjusts up to 180°. It's great for a minimalist office or home. Seriously, what’s not to love about this? These new lights are about to make their debut on Bostitch Office along with this PureOptics site quite soon, so be sure to keep an eye out. They're already highly anticipated and have a lot to offer in terms of making your workday easy and productive!